Wow what a week. I honestly cannot tell you how much I love Center Parcs. We last visited four years go, and I have no idea why we left it so long to return. Usually after going away somewhere, I am glad to be going home, or at least feel glad to be home once I get back. However this was not the case this time. I'm really missing it and can't wait to go back again. Although there is the option to either take your own bikes or hire bikes when you get there, we decided to walk everywhere. We were really lucky with the weather and our lodge was pretty centrally located between both the Plaza and the Jardin Sports Centre. It felt good to walk, especially with such beautiful surroundings. My favourite part is by far the Plaza, which is home to a range of restaurants, shops and the subtropical swimming pool (which we visited every day). I love the general atmosphere in the plaza. Even the smell of the place makes me feel happy, especially in The Store Room, I absolutely love this shop and could easily buy everything in it if space and money were not an issue. I think what I love about it is the fact that it's all undercover, unlike the centre at Elvedon Forest. At least if the weather is pants you can still enjoy wandering around in the dry and during winter, in the warm. 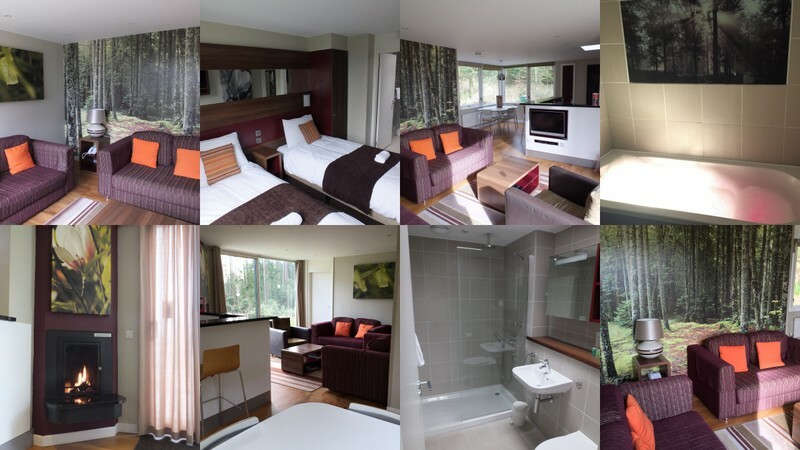 We stayed in one of their Executive lodges with stylish open plan living. It was perfect for the two of us but would comfortably accommodate another two adults. I fell in love with the feature wall in the living area, it really brought the feel of the outdoors in and was so fitting for the location. I'd happily have a wall like this at home. I was also pleased to have a fire in the living area too. It was great for those cosy evenings spent in our lodge. The pace of living is fairly slow and the evenings come to a close fairly early. Most restaurants closed at 10pm, but to be honest this suited us fine. We were both so knackered from all the swimming and walking, it was really nice to have chilled out relaxing evenings. We are not the most active of couples, sports are really not our forte, but we both fancied trying our hand at fencing. It was such a laugh, I really enjoyed it but perhaps that is because it turned out I was actually better at it than James. Aside from that we didn't join in with any other activities but the options were endless. Archery, high ropes, badminton, adventure golf, quad biking, canoeing, you name it, you could do it. Perhaps during the summer months for us. So I really do mean it when I say that we have had an incredible week. If you've not visited Center Parcs before, you should. There is something there for everyone. I know we will definitely be going back. I'm hoping next time to check out their Aqua Sana Spa, I've heard very good things about it. Thank you to the team at Center Parcs, in particular the team at Longleat, for such a fantastic and relaxing week. I look forward to returning soon. Strangely we have not been to the ones in the UK but have been to them all in Holland, a really great break. The Store Room is such a dreamy shop isn't it? 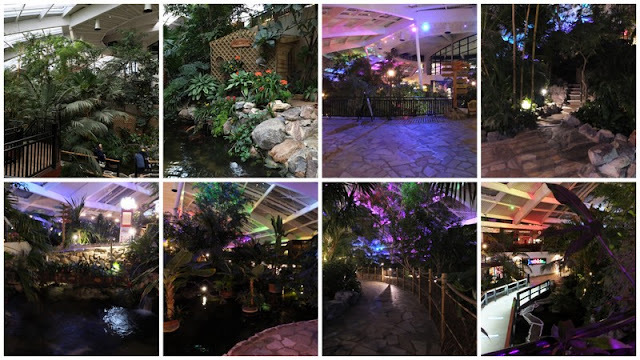 You need to go to Center Parcs around Christmas Gem, they make it so magical with all the pretty lights!